What’s The Best Knife For Slicing Brisket? Cutting vegetables is an art that every chef must master. Whether working in a 5-star restaurant or chopping up vegetables for a snack for the kids, the right knife will make your job a lot easier. And, there are several different knife types to consider. Like slicing through butter with a hot knife, the Wusthof Classic provides effortless vegetable chopping that professional chefs and home cooks can admire. The comfortable handle makes it easy to chop no matter what food you’re cutting through. Chopping onions, lettuce, tomatoes, carrots – you name it, we’ve tried this knife with them all. Creating thin celery and carrot slices are a breeze. This knife is so sharp that it will cut right through tomatoes without bruising its soft skin in the process. You can’t say the same for many knives in this class. Super sharp and effective, the Classic Nakiri is forged to be 30% sharper than the competition and holds an edge 30% longer – less sharpening and more cutting. A non-stick Granton edge is what allows foods to be released from the blade with ease. You simply chop your produce, lift the blade off of the cutting board and watch as the slices of food seemingly slide off of the edge of the blade. The full tang design allows the blade superior balance and a high maneuverability when chopping. Forged in Germany with high-carbon stainless steel, we’ve used this blade since 2012, and it still works exceptionally well after 3 years. I wouldn’t dare try chopping vegetables with another knife. We’ve tested dozens of knives over the years, and we’ve found some that work better than others for cutting vegetables. Our absolute favorite knife to cut vegetables is the Nakiri knife. A Japanese vegetable knife, these knives have a straight blade. 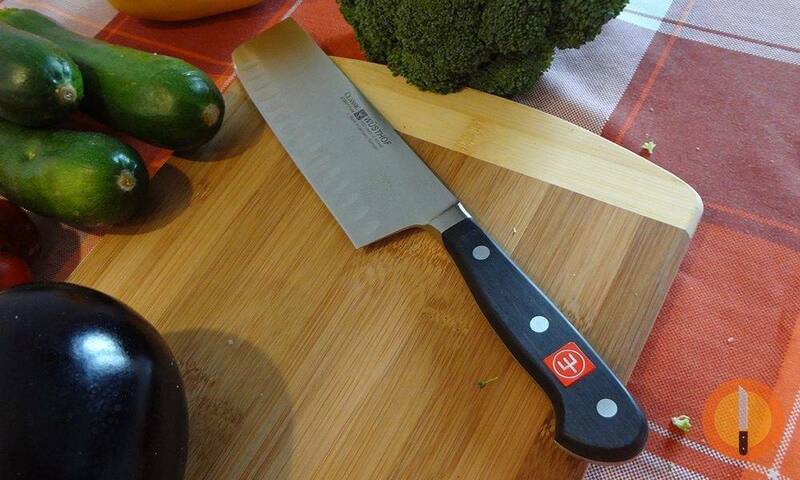 The straight blade allows you, the chopper, to quickly cut through your produce until the knife hits the cutting board. You won’t need to push or perform a horizontal pull to cut through tougher veggies. A unique shape and blade style makes the Nakiri a great choice for the fast chops needed for mincing as well. 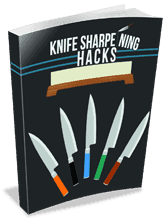 The properties of the knife are what make it so versatile and favorable. Forged with a thinner blade, the knife is lighter than its counterparts and allows for a faster overall chopping action to be performed. But, the blade thinness also has a downfall: it doesn’t allow for a clean cut through small bones. Many other knives that are deemed “vegetable knives” can be used for cutting tender meats, such as fish. But, you never want to use the Nakiri as the blade is so thin, even fish bone can damage it or dull it over time. This is a knife type that you’ll want to use for just vegetables and nothing else. The shape and style of the knife differs from the region that the knife originates. In Tokyo, for example, the knife will be a rectangular shape, while still maintaining the thinner straight blade. Knives that are manufactured in Osaka have a rounded corner on the blunt of the blade. When a Nakiri knife is sharpened, it will be sharpened from both sides, allowing for a cleaner cut. The Chinese cleaver, which we’ll be discussing momentarily, is very similar in function to a Nakiri knife. But, the Nakiri still outperforms all of the other knives we’ve tried when cutting vegetables. The gyuto knife is also an exceptional option for cutting through vegetables. Another knife that originated in Japan, the gyuto looks very similar to the western style chef’s knife you probably have in your kitchen drawer. But, there is a difference: it features a double bevel. Most Japanese knives feature a single bevel in comparison. When the double bevel is present, this allows the chef to quickly and easily slice through vegetables with precision and speed. Using harder, more durable material, the gyuto has a sharper edge and will have better overall edge retention when cutting. For one, you’ll sharpen your blade less often. 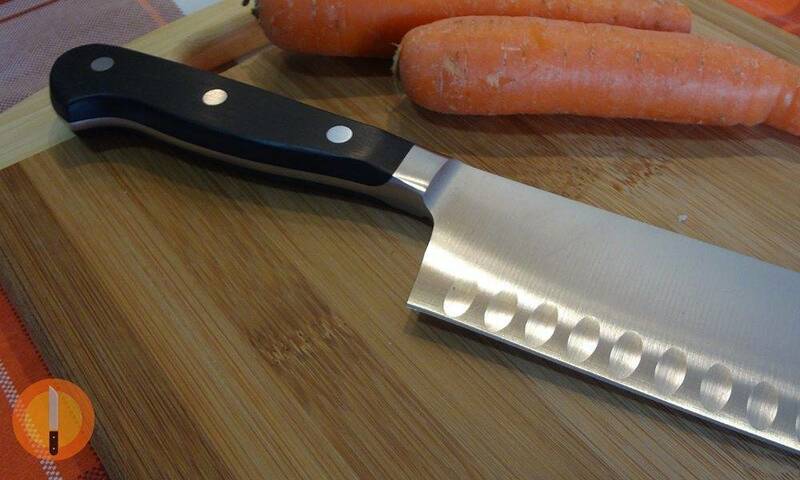 And, you’ll also have a blade that remains sharp enough for you to quickly chop through the toughest vegetables. It’s an amazing design, and one that needs to be tried to really experience it for yourself. The thin blade that the gyuto offers is the key to its success. With a thinner blade, you’ll be able to mince garlic and use it for sauce, or cut through thicker-skinned vegetables with more precision. The Chinese cleaver is really an erroneous categorization of the Chinese chef knife. Despite the name, these “cleavers” are a very versatile type of knife that has a myriad of different uses. 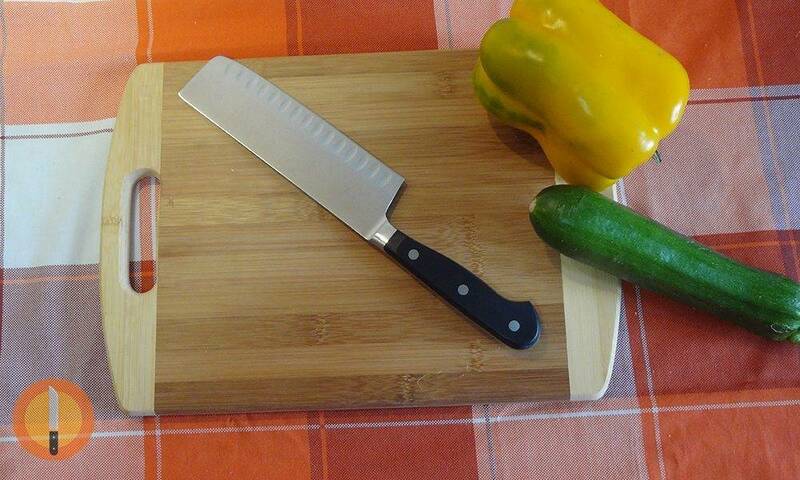 Despite being great for vegetable chopping, the cleaver can also be used for thin meats and produce. With the unique rectangular blade and a wide width, these knives are also used for flattening or smashing bulbs of garlic or ginger. And, the knife also works as a spatula where you can push all of the chopped vegetables on top of the side of the blade and drop them right into your frying pan when making a stir fry or any other dish. A thinner blade allows for dexterity while also allowing it to be light enough for all users. You’ll chop through your vegetables without your arms ever tiring in the process. And, a feature that many chefs seemingly ignore is the sharp tip of the knife. This allows you to easily work out small bones in a fish or peel ginger. The blade is even thin enough for you to remove the skin of a fish. With all of these usages, this knife still doesn’t compare to the Nakiri in terms of vegetable chopping. But, it does offer a lot of other great features that make it an attractive choice for chefs. Every chef has a special knife for their most common tasks. If you chop vegetables often, it’s better to get a knife like the Nakiri that will perform flawless, thin cuts with precision and minimal effort. It’s all about the most versatile knife for veggies, and it doesn’t get much better than a Nakiri. We’ve tried a lot of knives throughout the year, cutting countless vegetables in the process. When it comes to ease of use and versatility, nothing compares to a Nakiri knife. 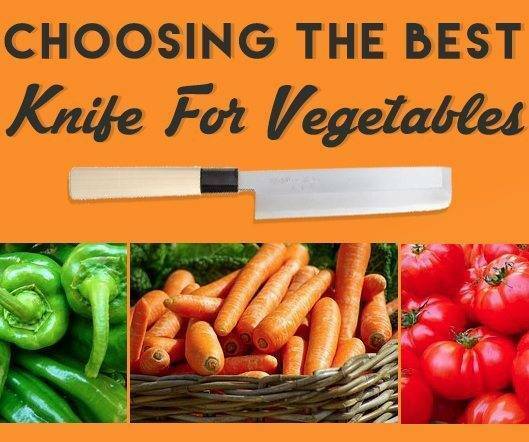 The perfect choice for all of your vegetable chopping needs, we’ve done our best to list all of the knife types for cutting vegetables and even present the Nakiri knife we have in our arsenal for cutting through vegetables like a hot knife through butter. Would you recommend the Wusthof Classic Nakiri for harder veg like sweet potato?